The title of this post was taken from the song Mr. Tambourine Man by Bob Dylan. I was four getting ready to turn five when my dad approached me with a very intriguing proposal; an offer that my four-year-old self could not turn down. "Melanie, how would you like to have a piano?" "I tell you what. You promise to take piano lessons for ten years and I will buy you a piano." 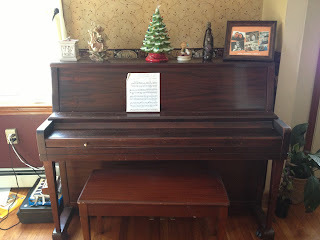 A short time later this piano was delivered to our house and arrangements were made for lessons. I remember my mom telling me that the teacher worried I was too young to start lessons because most kids my age didn't have the dedication for something like the piano. The teacher didn't know my dad. I started lessons and I loved it. I loved making the keys sing and putting together sounds to make songs. I hated reading music. I didn't like the enclosed circles of black and white telling me what and how I had to play. I would often change the songs to fit how I thought they should sound. In the beginning, dad would make me practice for a half-hour everyday and I loved when he was home to listen to me play. 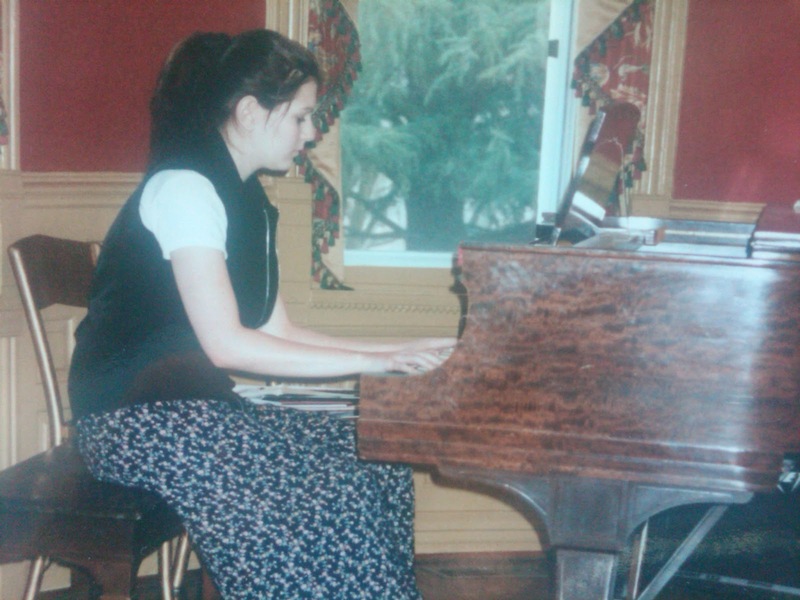 Several years went by and, around the age of twelve, I started to hate piano lessons. I hated sitting down to practice and, by this time, the practice time had increased to an hour a day. Okay, I must admit that my dad was the enforcer of the piano practices and, if he was working in the evenings, I often got out of doing my practice; poor mom. Anyway, I started to hate everything about the piano. I hated being forced to do something I no longer had a passion for. I don't know what caused me to feel this way. Maybe I was burnt out on it. Maybe I just needed a break. Whatever the reason, my dad refused to let me quit. He held me to the promise I had made when I was four. When I was about fourteen, I remember sitting at the piano as dad sat on the couch; him waiting for me to practice and me sitting there with my hands hovering over the keys refusing to play a single note. I knew that dad would sit there until I not only started my practice but he would sit there until I had practiced the whole hour. I remember being so angry and wanting to just walk out of the room, but then, something happened as I looked over at my dad. I realized he wasn't doing this to punish me. He was doing this because he saw potential in me and wanted me to develop this talent. It was at that moment I put my fingers on the keys and threw myself into my practice. This picture was taken during a regional music competition held at Southern Virginia University. I had won the area competition by playing Malaguena by Ernesto Lecuona and I played it again for regionals. I wasn't a phenomenal pianist but I played fairly well. I went on to take lessons until I graduated from high school. Almost three months after I graduated, I got married and the lessons ceased. When we bought our first home, my dad gave me my piano. I'm very sad to say that I haven't kept up with playing. Occasionally, I sit at the piano. I can still play bits and pieces of songs that I had memorized but I can't read music anymore. It makes me really sad and every year I make a goal that I'm going to start playing again. The truth of the matter is, unless I have someone hold me accountable, I'm probably not going to practice like I should. I have thought many times about taking lessons again but the kids and their activities always take precedence. I wonder if I can teach myself how to play. Could I take even ten minutes a day and sit down to practice? I'm not sure where I would even start. Maybe I need to look into getting some theory books and new music. Ten minutes...surely I can do that, right? Do you have talents or skills you've lost and wish you could get back? What motivated you?